For all your latest events in the area, please click below to check them out! Airport Harbour View Motel offers a convenient Auckland Airport location that is both modern, elegant and spacious accommodation while being excellent value for money. 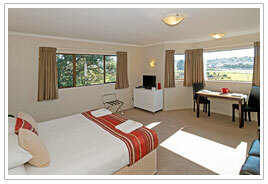 Only 10 min from the Auckland Airport, Sylvia Park shopping centre and Mount Smart Stadium. 4 star Self Contained and Service Accommodation. Rozita and Aaron welcome you to their upmarket Auckland motel.